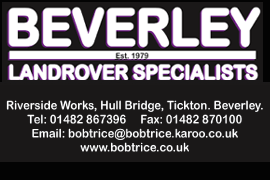 Rose and Crown Archives | HU17.net – It’s all about Beverley! The Rose and Crown in Beverley is set to reopen this Friday after Brantingham Inns Ltd acquired the license for one of Beverley’s most iconic pubs. The Rose & Crown re-opens on Friday 2 December for more information, festive menus or to make a reservation call 01482 871033. Photos from The Rose and Crown in Beverley featuring families who were out to enjoy a Mother’s day meal. Beverley’s Rose and Crown Pub is starting to win over the customers since it was re-opened at the start of December. The Rose and Crown has re-opened with the new mangers Shane Tate and Christine Singleton hoping the local community get behind them. Photos from around Beverley taken during the evening after Beverley Races Ladies Day event. 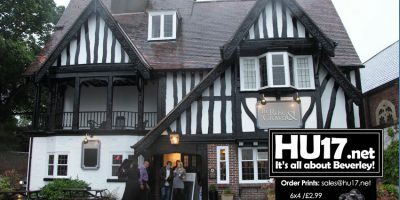 Pictures featured were taken at the Rose and Crown, The Royal Standard and the Kings Head. Originally an offshoot of the Beverley Folk Festival, the Westwood Sessions is now forging a name of its own as a premier event for young musicians. Beverley Folk Festival’s student-run spin-off “The Westwood Sessions” will return on Friday 10th April 2015 with a showcase of young musical talent and emerging artists. The Royal Standard hosted a Quiz night to celebrate gaining Cask Marque accreditation. Allen Slinger the new man in charge at the Royal Standard, Beverley says he is keen on making one of the oldest boozers in the town part of the local life. Chris Munns and Dave Bignell held a joint birthday at the Rose and Crown, Beverley. This bank holiday will see the music local dance music event INAudio Summer Soundsystem bring their summer party back to their home town. With Valentine’s day approaching The Rose & Crown may offer the answer for couples looking for good food and wine and an open fire. At the Rose and Crown this weekend is was plenty going on with live music and couple of parties. Annie Harmeston and Max Taylor Stafford were the latest act to entertain a packed out Rose and Crown as the venue continues to promote live music in the area.